Have you had enough of hair on your face? Are you looking for a permanent solution to your frustrating, hairy dilemma? If you answered yes to any of the above questions, our Williamstown hair removal services are the perfect solution you’ve been searching for. We offer a variety of technologies, from Electrolysis in Williamstown to IPL hair removal and waxing – no matter how dark, light and thick those frustrating hairs are we have the correct hair removal solution for you. If you’re looking for electrolysis Williamstown, our Williamstown salon offers the perfect solution – so give us a call to BOOK today. 1. The area to be treated with Electrolysis Williamstown is thoroughly cleansed with a medical alcohol solution. 2. A fine probe made from surgical steel is inserted into the hair follicle, alongside the hair. It does not penetrate the skin so you should not feel this happening. 3. The electrolysis current is then applied for a short duration of time (seconds) the needle is then removed. The current causes a chemical reaction at the base of the hair follicle (hair bulb) which kills and detaches the hair from it’s own blood supply. 4. The hair that has been treated with electrolysis Williamstown is then gently removed with tweezers. If the hair has been treated with the right amount of current, and it was in the active Anagen stage of hair growth, for the right amount of time the hair will slide out without any sensation as it is completely detached from the blood supply. If all other contributing factors are ideal, the hair will be permanently removed and will never regrow. If this isn’t the case, the hair needs to be retreated with electrolysis again until NO hair growth is achieved. Not all hairs grow at the same time; otherwise they would all shed at the same time and leave us with no hair for a number of weeks of the year. Anagen: the hair is actively growing from the base of the follicle, referred to as the active stage of growth. Catagen (intermediate phase): The hair has stopped growing and the hair follicle starts to shrink and detaches from the dermal papilla cutting off the blood supply to the hair. Telogen: The hair is resting and about to shed, a new hair is growing beneath. On the face, it can take anywhere between a few days and 8 weeks for the cycle to complete. This is why your Electrologist will ask you not to shave, wax or tweeze for a few weeks before beginning electrolysis. When your hair is in the active growing stage, the needle can pass to the bottom of the hair follicle and reach the cells that create the hair. If the hair is in the one of the other stages, the needle cannot reach the bottom of the follicle and will not kill the hair. However, it will still have some effect on the growth. This is why you need to return multiple treatments with electrolysis- and also other hair removal procedures such as IPL! If you suspect you may have hormone related hair growth, you may want to ask your health practitioner to refer you to have an endocrine test. Climate also affects hair growth and is more stimulated in the warmer months and less active in the cooler, colder months. How often will I need to visit your Electrolysis Williamstown clinic? Number, time slots and frequency of electrolysis sessions will vary from person to person. Your electrologist in Williamstown will advise how long each treatment should be (10/20/30 minutes), and how often you will need to have them (weekly, fortnightly, monthly). The speed at which your hair grows and the number of hairs present will reduce over time, so you will need treatments less frequently as your course of Electrolysis Williamstown treatments progress and hair growth diminishes. Each hair needs to be treated roughly 5-6 times by electrolysis Williamstown. What does Electrolysis Hair Removal feel like? The sensation has been referred to as a warm sting by most of our clients. You can apply a topical anaesthetic to the area 30-60 minutes before your appointment (this can be purchased from the chemist) and we advise using a thick layer of the cream covered with plastic wrap taped on for best results. After electrolysis sessions most people experience erythema (redness) and oedema (swelling) in the treated area, but this usually subsides within a few hours. Other reactions which may take longer to subside include bleeding, bruises, scabs, burns, bacterial and fungal infections, hyper pigmentation, hypo pigmentation, ice-pick scars and keloid scars. If you experience any of these conditions, contact your electrologist immediately to find out how to best treat this. Check with your electrologist which products you can use at home to prevent the possibility of adverse reactions, for example anti-inflammatories, advanced healers, DNA repairers and Vitamin A. An important aid to the healing process is withdrawing your skin from any activity that exposes it to the sun or solariums, and wearing an SPF 30 sunblock that is re-applied throughout the day. How do I get started with permanent hair removal? So you’re ready to get started and on the road to getting rid of your hairy dilemma! The next step is to contact us for an electrolysis consultation with Elise. You can also book your first treatment time slot over the phone so we can get started straight after your consultation. Please note the consultation costs $30 which is non-refundable. Call us now on (03) 9397 1984 if you require further information about our hair removal services such as electrolysis or IPL hair removal – or additional services such as IPL rejuvenation. Once you have booked STOP tweezing, touching and looking at your hair. We know it’s hard – but like we said earlier, electrolysis needs some hair to work. If your treatment is more than a week away (7 days plus) you may shave or trim the hairs. The hairs need to be long enough to tweeze for your treatment. -avoid caffeine or any other stimulants on the day so that your nervous system isn’t over stimulated. -check with your health practitioner what pain killers you can take before the treatment, make sure they do not thin the blood as this will affect the healing process. -avoid all sun and solarium exposure for at least 2 weeks before your appointment. -do NOT pluck, wax or thread the area for at least a week before the treatment, hair needs to be present, long enough to tweeze. -no tweezing, waxing or threading the hairs to be treated, including neighbouring hairs. This may stimulate hair growth (trauma is experienced which brings blood to wash away any foreign bodies, which in turn feeds the skin with nutrients and in turn increases hair growth). If you need to, shave the area, trim or bleach the hairs but make sure they are long enough and visible at your next treatment (3mm length minimum above the skin’s surface). -no sun or solarium exposure. This will increase the chances of scarring. -do not pick, touch, scratch, squeeze or exfoliate any lesions that may have been caused by the treatment. -check whether you need to use an anti-inflammatory healing aid, or ingrown solution. 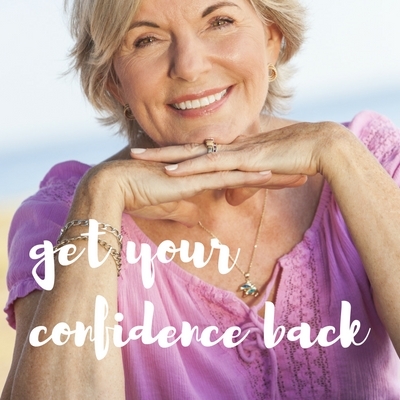 -if you are concerned about anything during the coarse of your Electrolysis sessions please contact the salon on 93971984, no questions or concerns are silly so please call us for peace of mind. -do not touch the skin with unwashed hands after electroysis, avoid touching and feeling the area after your electrolysis session; as this can introduce bacteria which can lead to an infection. What should I do after an Electrolysis Hair Removal session? -dust the area with a mineral makeup containing a high amount of zinc to heal the skin (NOT all make up labled mineral contain a high amount of zinc and may be misleading, please check brand with your therapist) please also use a clean brush when applying your makeup keeping in-mind the area is open and more sensitive then usual. Electrolysis is used to treat both hair and milia removal. Electrolysis is the only approved form of permanent hair removal. The area to be treated is thoroughly cleansed with a medical alcohol solution. A fine needle made from surgical steel is inserted into the hair follicle, alongside the hair. It does not penetrate the skin so you should not feel this happening. A High Frequency (HF) is then applied for up to 3 seconds and then the needle is removed. The HF causes a heat reaction at the base of the follicle which evaporates the water from the hair- creating cells, thus detaching them. The hair is then removed with tweezers; it should slide out without any sensation as it is already detached. If the hair is in the right stage of growth, and all other contributing factors are ideal, the hair will be permanently removed. On the face, it can take anywhere between a few days and 8 weeks for the cycle to turn over. If the hair growth is in the actively growing stage, the needle can pass to the bottom of the follicle and reach the cells that create hair growth. If the hair is in the other stages, the needle cannot reach the bottom of the follicle so cannot successfully kill the hair. However, it will still have some effect on the growth. This is why you need to return for more than one treatment. It is important to understand that if your hormones fluctuate, so will your hair growth- adolescence, pregnancy, menopause, hormonal conditions ie PCOS. If you suspect you may have hormone related hair growth, you may want to ask your health practitioner to refer you to have an endocrine test. The number, time slots and frequency of Electrolysis sessions you need vary from person to person. Your therapist will advise how long each treatment should be (10/20/30 minutes), and how often you will need to have them (weekly, fortnightly, monthly). The speed at which your hair grows and the number of hairs present will reduce, so you will need treatments less frequently as your course develops. Usually, each hair needs to be treated 5-6 times. Because there are 620 potential hair follicles per square inch on the face, and around 70 potential hair follicles per square inch on the body, it is possible the hair that you think may be returning, could indeed be its neighbour. Some clients take photos at home to monitor the progress of hair removal. The sensation of Electrolysis has often been referred to as a warm sting for a number of seconds. You can apply a topical anaesthetic and apply to the area 30-60 minutes before your appointment. -try and avoid caffeine or any other stimulants on the day so that your nervous system isn’t more active. -avoid all sun and solarium exposure for at least 4 weeks before your appointment. -no tweezing, waxing or threading the hairs to be treated, including neighbouring hairs. This will stimulate hair growth (trauma is experienced which brings blood to the wash away any foreign bodies, which in turn feeds the skin with nutrients and in turn increases hair growth). If you need to, shave the area, trim or bleach the hairs but make sure they are long enough and visible at your next treatment (3mm length minimum above the skin’s surface). -dust the area with a mineral makeup containing a high amount of zinc to heal the skin ( NOT all make up labled mineral contain a high amount of zinc and may be misleading, please check brand with your therapist). Most clients experience erythema (redness) and oedema (swelling) in the treated area, this usually subsides within a few hours. Other reactions which may take longer to subside include bleeding, scabs, burns, bacterial and fungal infections, hyper pigmentation, hypo pigmentation, ice-pick scars and keloid scars. If you experience any of these conditions, contact the salon immediately. Check with your therapist which products you can use at home to prevent the possibility of adverse reactions, for example anti-inflammatories, advanced healers and DNA repairers. The most important aid to the healing process is withdrawing the skin from any activity that exposes it to the sun or solariums, and wearing an SPF 30 sunblock that is re-applied throughout the day. The fine needle on the Electrolysis probe will penetrate the skin above the milia. A direct current (DC) is applied for a short count of around 1 second, which “saponofies” the sebum trapped. It can then be extracted from the skin. You may feel a minor prick and some heat. See above for precautions (same as hair removal) and check with your therapist as to what skincare to use to avoid milia in the future. Why do I have to Pay for an Electrolysis Williamstown Consultation? Do I have to pay for an Electrolysis Consultation? Elise will be performing your consultation she has 15 years experience as an Electrologist and her time is valuable. $30 is a very small commitment to pay. During your consultation you will be asked health questions such as to list medications you may take (write them down before you come so we can have the correct spelling) illnesses you have or have been treated for and concerns you have. Elise will also assess the area/s you wish to have treated, advise on the best treatments and provide time allocation and frequency of sessions. As hair growth is due to many different factors we can’t not guarantee how long you will need to undergo electrolysis treatments or how many you will need please use it as a guild only. Currently Elise is avaliable these days and between these times, please note you will need to call to book an appointment with Elise you can NOT book online with her.